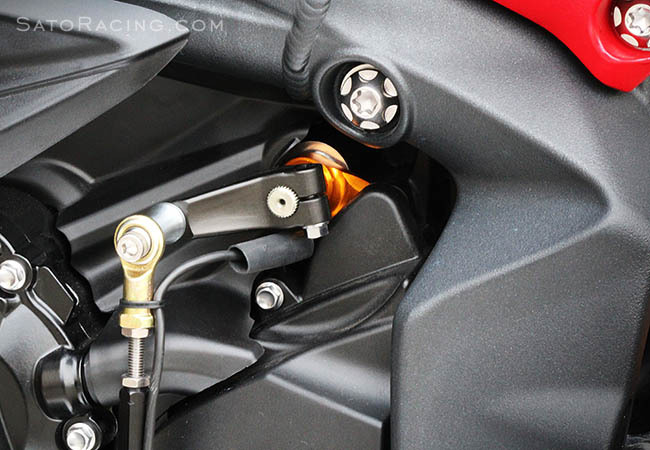 SATO RACING Shift Spindle Holder for 2013-17 Triumph Daytona 675/ R and 2017+ Street Triple 765-series reinforces the shift spindle, reducing lateral play in the spindle for more precise and consistent shifting in heavy duty use. 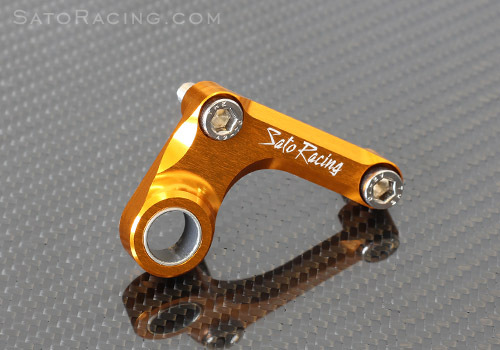 Anodized billet aluminum (Gold) with a Teflon-coated bushing and stainless steel bolts. 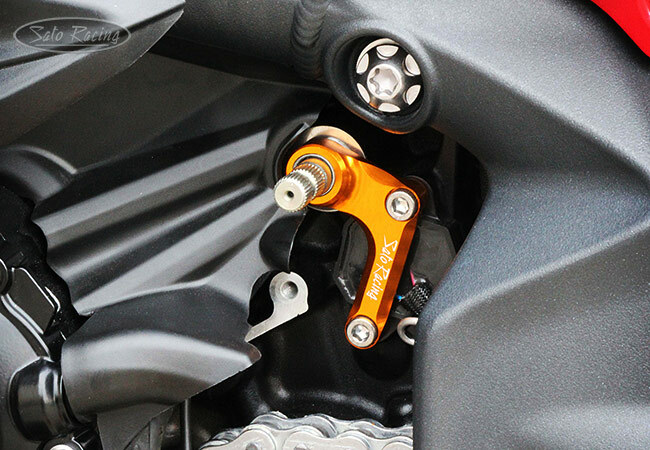 NOTE: This part is not compatible with 2016 and earlier 675 Street Triple.